Toyota manufacturer decide fit into their cars DENSO diesel injection system equipped with DPNR commonly known as a Toyota DPF diesel particulate filter. Which didn't make it easy to disable Diesel Particulate system from the car. But due to a lot of problems with dpf filters as engine management light on , dpf in regeneration mode, diesel white smoke, no power , poor fuel consumption we come with the solution of dpf removal on these DENSO systems. Why Diesel Particulate Filter (DPNR) is getting blocked so often? Due to urban driving style DPNR commonly known as a Toyota DPF diesel particulate filter is getting blocked. There is no enough time to perform DPF regeneration in start - stop driving cycles. Toyota’s dpf system equipped with 5th injector in the manifold for quicker and better raising the temperature in the dpf filter. Even this maintenance free technology is still struggling to perform successful dpf filter regeneration. 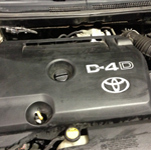 All of these factors they only help get Toyota DPF filter problems. Lack of successful DPF regeneration causing complete DPF filter blockage. This symptoms should indicate you dpf filter is in trouble and need attention. Did you have your car diagnosed in your local garage or Toyota dealer? P2002 Particulate trap efficiency below threshold this is the most common fault code found in the ecu engine control unit. Are you thinking of cleaning your dpf filter? 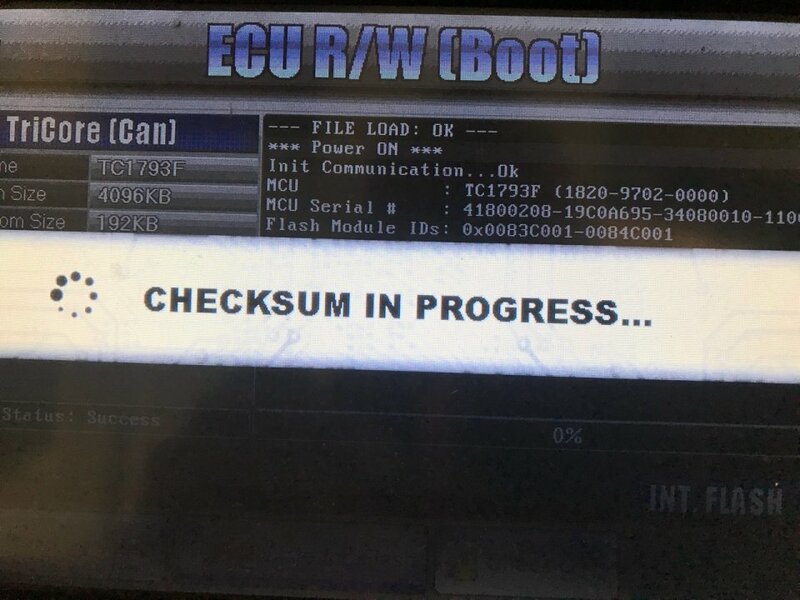 Performing active dpf regeneration by diagnostics tool? Dpf filter regeneration using diagnostics tool will cost you not necessary giving expecting long term results. Why not put this money towards complete DPF filter removal. If you are having DPF problem on your Avensis? DPF problem on your Rav4? DPF problem on your Auris or maybe on your Toyota which model is not stated here? Don't hesitate to contact us. Our company P&P Auto Services is specializing in car diagnostics and electronics. 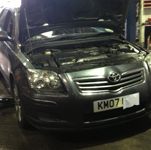 We can successfully delete Toyota DPF filter from your Avensis , Auris , Rav 4 or other Toyota models. We would remove the Diesel Particulate Filter from the exhaust leaving dpf box and sensors in place. To complete the Diesel Particulate Filter removal we would fit DPF filter emulator to work with ecu. 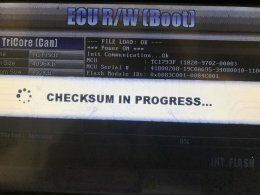 Also using our fully professional diagnostics tools we would reprogram ecu to work with DPF emulator. P and P Auto we can provide complete dpf removal service on your Toyota driven by Denso ecu. Are you struggling with your dpf and egr problems? We can eliminate DPF filter Diesel Particulate Filter form your car and provide you very unique service - service which include : fuel system flush , air intake and egr cleaning.